Swarms and swarms of people take to these markets each week to get there hands on the odds and ends and everything in between. Said to be the biggest undercover outdoor markets in the world I could definitely see how and why. There’s fruit, fake brands of just about anything, bags, clothes, jewellery, art, food and even animals! 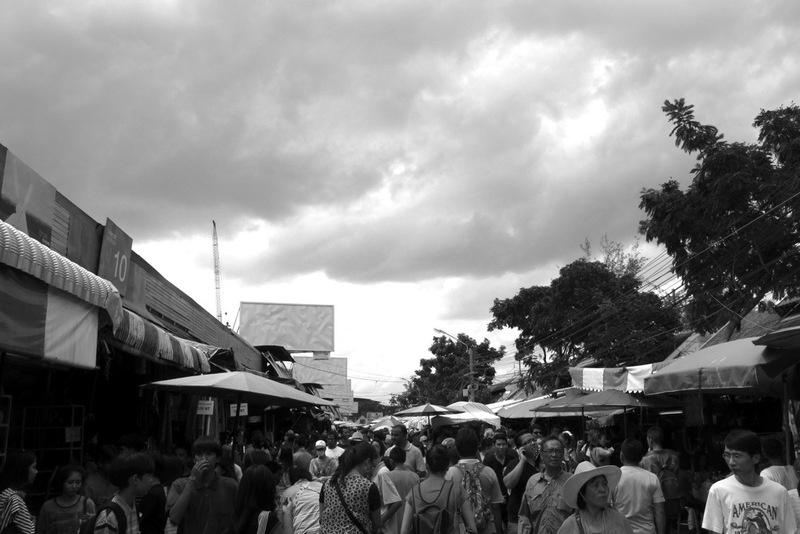 There is absolutely no doubt you’ll get lost in amongst the maze of indoor stalls and outdoors street vendors. We walked around for hours and hours and only just ended back where we started. Brendan will be proud of my two tie dye purchases and I got some beautiful colourful embroidered bags but left thankful to be out of the claustrophobic alley ways and with the realisation that I am terrible at bartering!